Mark Bernstein is chief scientist of Eastgate Systems, Inc., a pioneer in the development of hypermedia and hypertext writing tools, and publishers of original hypertext. Eastgate, founded in 1982, was referred to in the New York Times as "the New Directions of electronic publishing," in recognition of the innovative and intellectual quality of the company's products. At Eastgate, Bernstein has created and managed hypertext tools and technologies. His often-controversial writing ranges from new media criticism to frontiers of computer research. He is the publisher of TEKKA, a quarterly journal of new media and software aesthetics, and is currently at work on The Tinderbox Way. A graduate of Swarthmore College, he received his doctorate from Harvard University. 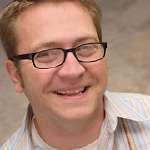 Thomas Vander Wal has a broad background in information management, which encompasses information architecture, interaction design, web development and information design. Thomas has 18 years of professional experience in the web and technology sector. He has spoken on information architecture, interaction design, accessibility, web standards, and user-centered design at IA Summit, STC, SXSW, Design Engaged, Web Visions, Bay CHI, and various workshops. 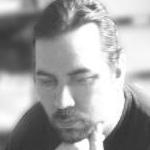 Dan Saffer has worked in interactive media since 1995 as a webmaster, information architect, copywriter, developer, producer, creative lead, and interaction designer. Currently, he is an interaction designer at the design firm Adaptive Path and is the author of the book Designing for Interaction: Creating Smart Applications and Clever Devices (New Riders, 2006). While in Sydney Dan will also be delivering a workshop based around this new book. Dan has designed a wide range of projects, from Web sites and interactive television services to mobile devices and robot navigation systems. His clients have included Fortune 500 companies, government agencies, non-profits, and start-ups. He holds a Master of Design in Interaction Design from Carnegie Mellon University. Donna Maurer is a freelance interaction designer and information architect who specialises in making complex systems simple for people to use. She has more than 6 years experience in senior consulting and in-house roles. She has designed huge intranets & websites, e-commerce & search systems, business applications and a content management system. She has conducted so much user research she can't count it but knows she has facilitated more than 200 usability tests. She continually surprises her colleagues by talking to people rather than computers and designing the old-fashioned way with pencil, markers and reams of coloured paper. Donna keeps starting then stopping Masters programs, preferring to follow her own path through an increasingly large pile of books. She is an experienced speaker who has presented sessions and workshops at many local and international conferences. She spends her spare time playing in her orchard, spending (not enough) time with her family, working as program chair for next year's Information Architecture Summit, and writing a book on card sorting to be published by Rosenfeld Media in early 2007. Professor David Sless is Director of the Communication Research Institute, Visiting Professor of Information design in the Design Institute at Coventry University, and Vice President of the International Institute of Information Design. David graduated from Leeds University in 1965. 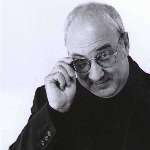 In 1975 he was awarded an MSc by Durham University for research in information design. In 1985 he was invited to set up the Communication Research Institute, a not-for-profit body that undertakes research and provides information design services to over 200 large organizations in government and industry. 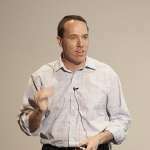 David is a frequently invited keynote speaker at international conferences, and is the author of over 200 publications. Steve Baty joined Red Square in February 1999 and is ultimately responsible for Red Square’s eCommerce and user experience strategy. Steve’s work involves the alignment of the eCommerce and user experience strategies with the overall business goals of the organisation, balancing brand, marketing, information technology, financial, user and competitive forces in the development of cohesive project requirements. Over the past few years Steve has led Web projects for Panasonic Australia, YHA Australia, oneworld Alliance, P&O Nedlloyd, Ferrier Hodgson, Tourism Queensland, Sydney Convention & Exhibition Centre, and Fuji Xerox Australia. Steve holds two Masters Degrees, in Electronic Commerce and Business Administration, and a Bachelor of Science Degree in Applied Statistics and Applied Physical Mathematics. He is a published author on topics as diverse as electronic commerce strategy, personal development within the technology space, balancing business and user requirements during the design phase of a project, and has had articles translated into a variety of languages appearing on international industry sites including CNet China. Steve is an active member of the Usability Professionals Association (UPA), the Interaction Design Association (IxDA), the Sydney IA-Peers industry network and the Web Standards Group (WSG). James has recently written an article on Succeeding at IA in the enterprise for Boxes and Arrows, and is actively promoting further industry discussion about the role of IA's who aren't interested in wireframes or sitemaps. He has also published over 100 other articles on the Step Two Designs site, as well as being the regular author of a blog called Column Two. Alexander Johannesen is the Web Technology Manager at the National Library of Australia, who wrangles and deals with all things web-related, from large metadata collections, information modelling and Topic Maps, to information architecture, user-centred design and natural philosophy. Johannesen has more than 18 years experience in the IT industry, ranging from AI (yes, not everything is IA) in the security industry to user interface design big and small to development of enterprise management systems of various sizes. He's an Topic Maps evangelist, a preacher of KISS and UCD, and a usurper of good mocha coffees everywhere. He blogs, writes articles, hold presentations and general waffle on about semantic modelling, philosophy, the human side of technology design, and design processes. He lives reluctantly in Canberra with two kids, a wife and a dog, plays drums and percussion at the neighbours mercy, and loves Monteverdi and baroque music. Glenda Browne has been indexing books, journals, databases, online help, intranets, library collections (aka cataloguing) and websites for eighteen years. She co-authored Website Indexing (2nd ed. 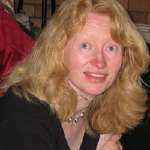 2004) and has just finished writing Indexing Companion (Cambridge University Press, due March 2007). Glenda has taught indexing, website indexing and thesaurus construction at ANZSI, University of NSW, Macleay College and Macquarie University. 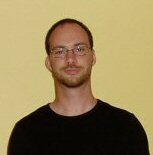 Eric Scheid has been a practicing information architect for five years, working mostly in freelance consulting and advisory roles. 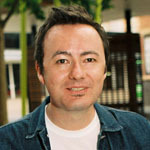 Eric's work has included developing site architectures, developing and evaluating content taxonomies, developing workflow processes for reviewing and classifying content in preparation for publication, analysing site logs and search logs, recommending website strategies, and conducting competitive reviews. Eric Scheid was on the Leadership Council and Advisory Board leading to the founding of the IA Institute, and is a founding member. He is the founder and convener of the Sydney IA-Peers, a user group for Information Architects, and is also organising Oz-IA 2006. He is the founder and managing editor for the IAwiki, an online knowledge base for Information Architecture, and he's also been quoted, referenced, and acknowledged in several books on Information Architecture. For more than eleven years, Ash Donaldson has been practising, promoting and studying all aspects of human-centred design. Throughout this time, he has gained a reputation for discovering and designing outstanding solutions for public and private organisations of all levels. 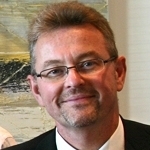 Notably, Ash has recently served as: Australia's first Federal Court Expert Witness in Human-Computer Interaction (HCI); an expert contributing to the International (ISO) standards for Usability; the inaugural UPA World Usability Day leader for Sydney; and Chair of the Australian HCI conference (OZCHI). Since resigning from his role as Director of Experience Architecture at Different in Sydney, Ash as returned to freelance consulting across Australia under his old company name, Produxi. Stephen Hall is a senior consultant with SMS Management & Technology, and has more than 20 years experience in a wide range of management and technology roles in Australia, Europe and the USA in both the public and private sectors. He has broad experience in information architecture, interface design and development, e-business strategy, communications and knowledge management. 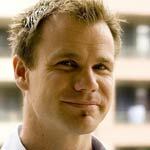 Stephen has designed and managed e-business initiatives and internationally recognised web resources. He is the National Lead for the SMS Web and Information Management practice, which brings together the expertise of SMS consultants across the country in such areas as Information Architecture, User-centred Design, Content and Document Management, Information Classification and Knowledge Management. Stephen has a strong interest in the use of user-centred design approaches in public sector web sites- and complementary electronic channels- as a way of both improving communications between government and citizens, and enabling better channel management by governments. Stephen is currently co-developing with Andrew Boyd a range of user-centred products for the Department of Health and Ageing in Canberra. Their work has included researching, designing and testing prototypes of web, PDA and CD versions of the Schedule of Pharmaceutical Benefits for both health professionals and consumers. 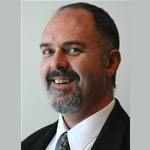 Andrew Boyd is a consultant with SMS Management & Technology. He is an experienced interaction designer, information architect, e-business consultant and technical writer. Andrew has a passion for Humane Information Architecture - the name was inspired by Jef Raskin's book "The Humane Interface" and his definition of a humane interface - "An interface is humane if it is responsive to human needs and considerate of human frailties." Andrew is currently co-developing with Stephen Hall a range of user-centred products for the Department of Health and Ageing in Canberra. Their work has included researching, designing and testing prototypes of web, PDA and CD versions of the Schedule of Pharmaceutical Benefits for both health professionals and consumers. 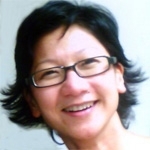 Adrienne Tan is a product management consultant in the Telecommunications and New Media space having left full time employment as a Group Product Manager to start her own consulting business, brainmates in 2004. She consults to a wide range of companies such as AUSTAR , Optus , UBI World TV, TelstraBigPond and the leading French Interactive Games company, Visiware. She works closely with Foxtel and SKYNZ to deliver a wide range of casual games via multiple mobile and TV platforms. Her experience lies in the development of new products from Wireless Broadband services to Interactive TV applications such as Digital TV Electronic Guides. She is a keen consumer advocate and believes that one of the roles of a Product Manager is to represent the customer during the product development process. She has also taken on a part time role at UTS lecturing in digital information and interaction design within the Graduate Courses in Interactive Multimedia program at IML, UTS. 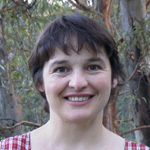 Adrienne has a Masters of Economics (Social Science) from the University of Sydney. Scott Bryant has worked in interactive multimedia since 1995 as information architect, project manager, online production coordinator, content developer and lecturer in digital information and interaction design. Currently information architect at the Institute for Interactive Media and Learning, University of Technology, Sydney , he is leading the development of enterprise IA, implementing IA policy, standards and user-centred design methodologies to inform a new research-based site structure, interface and visual design. He has had wide experience in user needs analysis and usability evaluations for major web development projects and has been responsible for developing innovative and creative approaches to interface design. 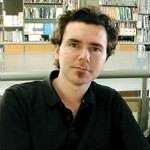 He is also an active advocate for accessibility and W3C web standards. Now an IA industry rarity his career actually began in libraries for universities and local government. He holds two Masters Degrees, in Media Art and Information Studies. For the last 3 years he has lectured in digital information and interaction design for the Graduate Courses in Interactive Multimedia program at IML, UTS. In recent semesters he has co-taught IA for interactive television (iTV) projects. Hurol Inan is a sought-after consultant, speaker and author. He is well recognised as a global authority in the field of web-based analysis and research, and authored two books on the subject: Measuring the Success of Your Website (2002) and Search Analytics (2006). Hurol has 17 years of management consulting experience, the first 11 years of which were with Accenture and Deloitte and the latter part as the principal consultant of Hurol Inan & Associates. Hurol regularly writes articles for print and online media outlets. 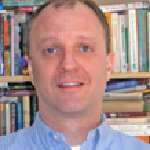 His website covers articles on IA and Web Analytics. Great stuff, huh? Well, just wait until you see what they’ll be presenting. To be informed of updates, you can subscribe to the RSS or Atom news feeds, or sign up for email announcements.